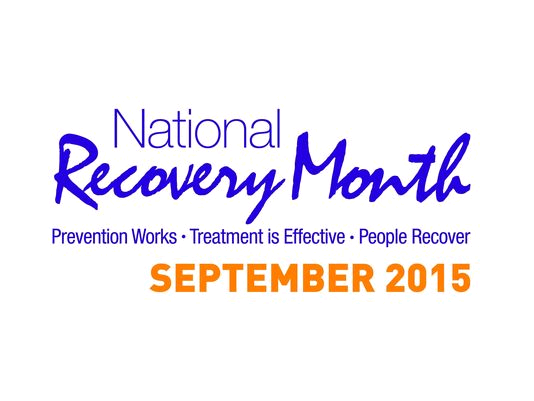 National Recovery Month (Recovery Month) is a national observance that educates Americans about how addiction treatment and mental health services can enable those with a mental health and/or substance use disorder to live a healthy and rewarding life. National Recovery Month spreads the positive message that behavioral health is essential to overall health, that prevention works, that treatment is effective and that people can and do recover. I am living proof of that! Today, I celebrate 21 years of surviving, living and thriving with HIV/AIDS, openly since World AIDS Day 2010. And to think that in 1993, when I was diagnosed HIV-positive, the Centers for Disease Control and Prevention estimated that newly diagnosed individuals would have a 7 year life expectancy. In 1999, it happened: my worst fear. I was no longer living with HIV—I had been diagnosed with AIDS. In year six of the seven years I was predicted to live, I was diagnosed with Kaposi’s Sarcoma (KS), which is a strain of skin cancer common to AIDS patients. Due to failing health, I was in need of an extended medical absence from my career. Short-term disability ensued, and then turned into long-term disability. I was not prepared for the darkness that would follow; with my professional identity stripped away, I lost the sense of life purpose I so valued and fell prey to addiction, subsequently attempted suicide, and ultimately hit my rock bottom. In 2001, just weeks after 9/11, I left New York City and returned home to Springfield, MA — “to die.” But, I never missed a dose of my HIV/AIDS medications. So, upon reflection, I believe there was always a flicker of light within willing me to live. In Springfield, I did an addiction transfer from drugs. I gained 70-plus pounds–mainly the result of excessive alcohol consumption, a sedentary lifestyle and my loss of will to live. In early 2007, during one of my appointments with my nutritionist, she mentioned that I needed to become “accountable.” I knew at that exact moment that my nutritionist not only meant accountability in terms of my nutrition, but accountability in my life! The word “accountability” resonated with me. After trudging down a long, bumpy road, I became sober in 2007 and remain sober today! That was my turning point: the beginning of my recovery (after having previously relapsed once), the discovery of my resiliency, and a reinvention of me. I was once again confident and beginning to think about a life purpose. Merging two worlds — that of my child life career and my personal journey — I started to make a difference in the HIV/AIDS community. I knew too well from my experience as a child life specialist the value of support, specifically peer support. I had always believed that the support given in child life should be available to adults in crisis as well, and now it was. The child life skills I learned at Wheelock College are transferrable to any arena. I have reinvented myself and applied my child life skills and personal challenges and triumphs in other settings, fostering hope and resilience in myself and others. In my speaking engagements, I frequently share that as difficult as it may be to stay on track during life’s hurdles, it’s a lot harder to fall off and try to get back on. I truly believe that we can all overcome and grow from obstacles when we learn to see them differently. Today, I am a passionate, openly gay, HIV-positive activist, blogger and educator. During my 25+ year career as a certified child life specialist and my twenty-one year journey as a long-term survivor living and thriving with HIV/AIDS, I have evolved from being an unheard voice to a voice for the unheard. Through local and statewide activism, education, outreach and social media, I am increasing HIV/AIDS awareness and reducing HIV-related stigma. I am continually seeking additional opportunities to further my work advocating for increased awareness, ending HIV-related stigma, and the ultimate goal of an AIDS free society.